A three bedroom family home situated in the popular village of Steeple Claydon within walking distance of the village amenities. The property benefits from a double width driveway, conservatory and rear garden. 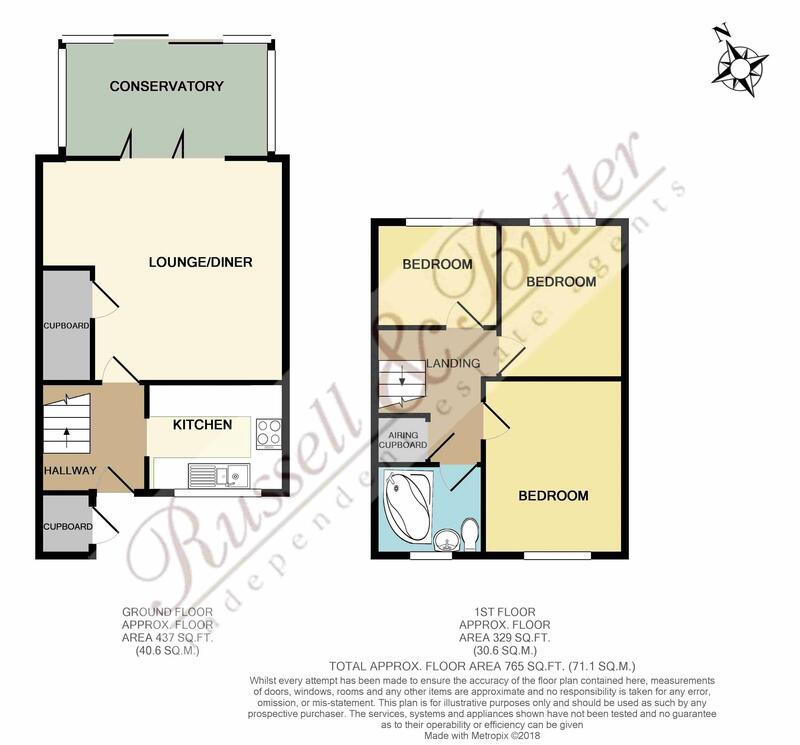 The accommodation fully comprises: Entrance hall, kitchen, lounge/diner with storage and sliding doors leading to the conservatory, first floor landing, three bedrooms and family bathroom. Rear garden and double width parking to the front of the property. The property would make an IDEAL FIRST TIME PURCHASE OR INVESTMENT PURCHASE. Energy Rating E.
Ceramic tiled flooring with stairs rising to first floor. Brick built and Upvc conservatory with wood laminate flooring and sliding doors to rear garden. A range of base and eye level units, stainless steel sink unit with mono bloc mixer tap, work tops over, built in oven and hob, space and plumbing for washing machine, ceramic tiling to splash areas, space for fridge/freezer, ceramic tiled flooring, Upvc double glazed window to front aspect. Access to loft space, airing cupboard housing hot water tank. Double width wardrobes, wood laminate flooring, Upvc double glazed window to front aspect. Electric ceiling heating, Upvc double glazed window to rear aspect. Electric central heating, Upvc double glazed window to rear aspect. White suite of corner bath with single shower over, wall mounted wash hand basin, low level wc, wall mounted heater fan, full height tiling to walls, Upvc double glazed window to front aspect. A fully enclosed rear garden with paved patio area and storage shed.